After Nafta, can Trump continue 'bullying' for more trade breakthroughs? US President Donald Trump's decision to withdraw from Syria is consistent with his policy that the main objective of American troops in the war-torn country was to destroy the ISIS and not to resolve the civil war, the White House has said. The Wall Street Journal described it as an abrupt decision by the Trump administration. Currently, there are about 2,000 US forces in Syria. A senior administration official, who spoke on condition of anonymity, told reporters in a conference call that Trump, over the past two years, has clearly declared the US is not going into Syria to resolve the civil war. "What we were going in to do was to destroy the territorial caliphate, which he referred to as 'ISIS in Syria', very specifically," the official said. Speaking a few hours after the decision was announced, the official left the timeline of withdrawal to the Pentagon, which declined to give any comment immediately. "We are under no illusion that that means ISIS writ-large or the scourge of Sunni radical terrorism has in some way gone away. That's something the president addressed very frankly in his Riyadh speech in May of 2017," the official said. In Riyadh, the US president had called on Middle Eastern leaders to combat a "crisis of Islamic extremism". Media reports said then that Trump had toned down his harsh rhetoric. "We have defeated ISIS in Syria, my only reason for being there during the Trump Presidency," Trump tweeted earlier Wednesday. 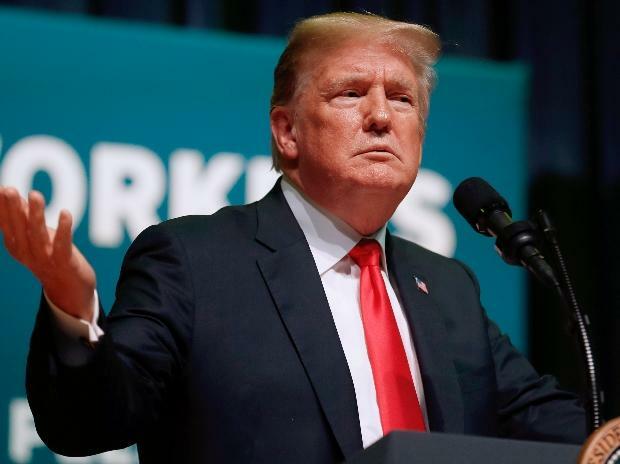 His decision attracted criticism from leaders of his own Republican party, who argued that such a hasty decision would endanger American national security in the long run. Republican Senator Marco Rubio said the full and rapid withdrawal of US troops from Syria is a grave error with broader implications beyond just the fight against IS group. "The president's tweet is dangerous, premature and wholly inconsistent with the facts on the ground in Syria and our military's advice. I have travelled to Syria to review our mission, and our military has performed well beyond expectations," said Sen. Jeanne Shaheen. The administration official, however, argued that Trump has been consistent in his views on Syria. "I will say the president's statements on this topic has been 100 per cent consistent from the campaign through his announcement today. And so, I think the notion that anyone within the administration was caught unaware, I would challenge that, quite frankly. And it was the president's decision to make, and he made it," the official said. The official acknowledged that several lawmakers at the Capitol Hill disagree with the decision. "The senators obviously have been working on this issue, as well, for many years. They have their opinions." Responding to questions, the official said this was "purely Trump's decision" and he did not consult with his Turkish counterpart on the issue. "It was not something he discussed with President (Recep Tayyip) Erdogan. He has informed President Erdogan of his decision. As a neighbour of Syria, obviously it's going to be an important issue for Turkey. But this was not a topic of discussion. It was informational," the official said. The official also asserted that the US troops in Syria were to fight and defeat ISIS and not to fight Iran. "The troops that we had in Syria were never there to counter, fight Iran. They were always there to destroy the territorial caliphate of ISIS.